There are over 1500 members of the carrot/parsley – or more correctly – apiaceae – family worldwide, and around 100 varieties in the UK. Including well known delights such as fennel, coriander, dill, parsley, and celery, and also some notoriously toxic species like hemlock and hemlock water-dropwort, this family presents some major gastronomic – and catastrophic – opportunities for foragers. I teach carrot family identification in similar ways to fungi identification: learn the specific characteristics of all the important edible and toxic species. I wrote the following article for the Jan/Feb 2015 edition of Bushcraft Magazine (Issue 54) to help people tune in. The best time to start is March/April. 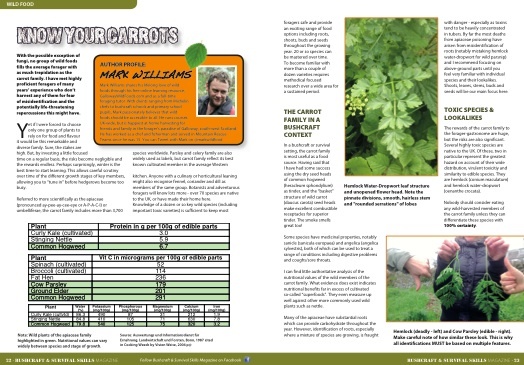 It includes tables on nutritional values, as step-by-step guide to how to feel confident with carrot family ID in a year, and an “at-a-glance” table of the important species, where/when to look and what to be particularly careful with. Happy foraging – stay safe! Great article! I look forward to eating some umbellifers in the future. Good info! 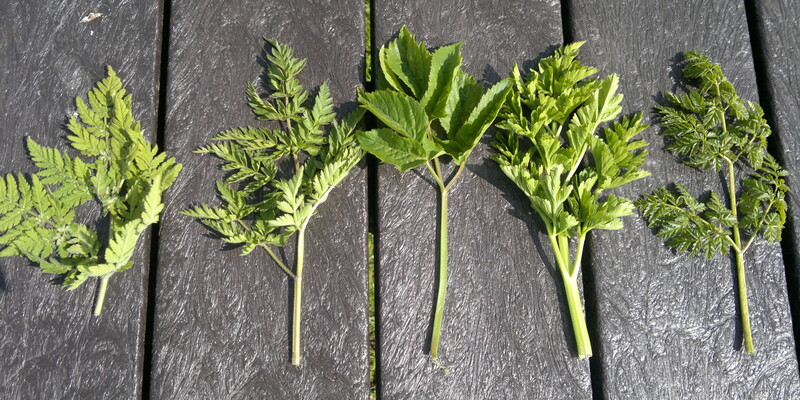 I did some research and apparently a close relative of common hogweed (which is also edible) grows near me! I’m going to hunt it down, considering how much you’ve vaunted it. Would it be safe to say that any of the carrot family with pale yellow to bright yellow flowers are safe and edible? Fennel, Alexanders, wild parsnip etc. Do any of the toxic members of this family have yellow flowers? Great page, only one problem. The link to the Botanist site is no longer functional it seems.